The Western Hills Alumni Foundation Celebrates 30 Years!! The Western Hills Alumni Foundation, incorporated as a non-profit organization, provides assistance to the educational programs of the school through alumni donations since 1988. These contributions are the means to help the students and the school. 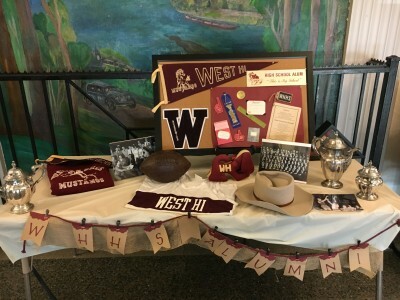 Alumni Night, held each spring, provides a chance to tour the school, meet up with old friends, enjoy some snacks and desserts and see all of the collected Western Hills memorabilia. Then you can enjoy a show in the Main Auditorium, with music provided by the Alumni Band and Chorus as well as the presentation of the MAROON Award. The Maroon Award was established in 1988 to recognize West High graduates who have distinguished themselves through important contributions to or exceptional achievements in many fields of endeavor. The alumni member to be honored should have made important impacts on society through professional, vocational or volunteer activities. Service to the public is important. Please nominate someone who you feel has these qualities and deserves to be recognized.